Sarah P’ s comments: A late posting via TIE but also listed on their website. No reviews on ISR, one on Glassdoor which gave the school 2 stars, and the following short article on Teach Abroad which shared facilities and salary information. I wouldn’t worry about the qualifications in that they are requesting an education major. A master’s degree in library science is the qualification along with the school media certification. However, at this late date if you do not have the certification but can at least show you are working toward it, then I believe you will be accepted. The other acceptable route is to have an education certification with school media certification in addition with no MLIS. The American United School for Pre-K through Grade 11 opened in September 2013. AUS offers small class sizes with the latest educational materials and interactive technology. The academic curriculum of the American United School is based on the Common Core American Standards Curriculum. These standards clearly communicate what is expected of students at each grade level. The Common Core Standards focus on conceptual understandings and procedures starting in the early grades for reading, mathematics, science and social studies, enabling teachers to have the time needed to teach core concepts and procedures, and giving students the opportunity to master them. The school provides a 1:1 tablet program, with a high speed Wi-Fi network that allows educators and students to take advantage of this pedagogical change in the way that information is provided in a school setting. AUS offers a competitive salary package, transportation, Housing, Medical insurance, Visa sponsorship, Airline tickets to and from Point of origin, annual home leave, Re-location allowance. Teachers with school-age children enjoy free tuition. Should hold a Bachelor degree in Education. Major in Information Specialist. We are looking for candidates who promote, recognize and use technology based learning models in a cooperative learning community for teachers and students. Duke Kunshan University is a partnership of Duke University, Wuhan University and the Municipality of Kunshan, China (https://dukekunshan.edu.cn). The DKU campus is 37 miles west of Shanghai in Kunshan, and is connected to Shanghai via an 18-minute high-speed train and a subway-light rail train system. DKU provides competitive compensation, benefits and start-up packages. The Research and Instruction Librarian engages with the faculty, researchers, staff, and students of Duke Kunshan University (DKU) to identify current and emerging user needs and to deliver responsive and innovative research and instructional services. The Librarian in this position collaborates with other DKU librarians and staff to develop, provide, and promote services in support of research and teaching, informational literacy, scholarly communication, and related activities. Duke Kunshan University requests from all applicants a curriculum vitae, a cover letter, and the name and contact information for three references. The materials should be submitted to DKUrecruitment@dukekunshan.edu.cn. Priority will be given to applications received by June 30, 2017 and applications will continue to be reviewed until the position is filled. Ethel is ecstatic when her father offers her an escape from a long, cold, dark, Maine winter. But the journey turns out to be a maze of country-hopping, desert-crossing, shisha-smoking, friend-making, skinny-dipping, island-kissing, revolution-escaping, boy-betraying, white-knuckled, hairpin turns. Growing up at home is perplexing, growing up overseas is mind-altering. from many different countries and cultural backgrounds. ‘Multicultural’ became a publishing buzz word in the late 80’s and a genre by the 90’s. As an international librarian I happily embraced this trend, excited to see stories which represented at least some of more of my students’ cultural heritages. In each of my positions I sought out books with global themes, and especially those which represented where I was currently located. At first there were only a smattering but eventually there grew to be a list which I would faithfully order for each new library. Another welcome trend which emerged were novels about kids from other cultures trying to fit into mainstream American life. I added these to my list as they encouraged discussion and understanding of what it means to try and live in another culture. At the same time some books began to be published about American teens venturing overseas. These books were popular as well and thus I figured it was only a matter of time before stories appeared which would delve deeper into the final frontier: the experience of American teenagers living overseas. But, to date, nothing has yet appeared which I find surprising because, at last count, there are at least 275,000 global nomads, or TCK’s (third-culture kids), kids who consider America (or another country) their home, but spend most of their lives growing up overseas and attending international schools as they follow their parents’ international careers. These are the students I taught and hung out with in my fourteen years of international living and, to me, they truly are ‘multicultural’ in that their definition of themselves is not based on where they live but how they live, and they are living proof that ‘multicultural’ is something you can become rather than something you must be born as. Ethel’s story grew out of this understanding and my goal was to find an entertaining way to honestly share some of her experiences and to answer real-life questions such as: What’s it really like to wear a veil? Should I date a guy from a different faith? How do I deal with someone who hates Americans? And, finally, there is another message woven into this story. It is for all teens who feel stuck, and it is that being multicultural is about acceptance. That if you travel beyond your borders, be it through a book, a plane, or Instagram, you are reaching out. And that, by seeking to understand others, you will find people anywhere and everywhere, who are like you in some way. Travel, as Ethel comes to realize, will not solve all your problems, but what it can bring is perspective, insight, understanding, and hope. Sarah P’s comments: Actually, this position is listed as ‘paid volunteer’ but that is an oxymoron. The position does cover expenses plus a small salary which is much better than volunteer positions where you have to pay! On the negative side, it sounds like quite a job, of which overseeing the library is a small part. The deadline was May 20 but if you are interested, shoot of a quick letter and resume. Volunteer and low pay positions are usually not as strict about deadlines as jobs. The position of Cambodia Director for Wings of Hope/John Givonetti Giving is a multifaceted position managing a program that aims to provide rural Cambodian children (currently 500 to 600 students in three schools) with the skills to pull themselves out of poverty, primarily through instruction in English and computer skills. Teaching is conducted by an organized group of high school students (Student Teachers) that JGG has trained to teach both subjects (currently 60 Student Teachers). The position is based in Bak Chinhchien, Pursat Province, Cambodia with occasional travel outside the area to Phnom Penh and Siem Reap. Khmer Language skills are not a requirement. We are seeking a minimum one year commitment. While the JGG Director is responsible for all JGG program activities, the primary allocation of the Director’s time and effort will be the administrative functions specified in General Responsibilities. 2. Very strong record keeping and reporting abilities are essential. This is a primary skill requirement. 4. The ability to be culturally sensitive while achieving the goals of JGG. 5. Good working knowledge of English including writing/conversation/grammar. No teaching degree is required. a. Persistent (everything is exponentially more difficult to do in Cambodia) and timely response to tax issues, government NGO operating requirements, insurance maintenance, building maintenance, construction projects, banking and internal accounting requirements. b. Manage budget and expense journal entry process (development/implementation/periodic reporting) and clearly reporting this information expeditiously to the JGG Chairman. c. Facility management for the two Learning Centers, the Siem Respite Center, the two Phnom Penh Dormitories and smaller projects. d. Timely reporting to the Chairman of all JGG activities and prompt response to requests made by the Chairman and to the needs of Wings of Hope, a supporting charity. e. Maintain with updates and improvements JGG’s Facebook page and website. f. Implement/manage all other JGG activities and new projects as they develop. g. Maintain good relationships with all levels of the Cambodian government (National/Provincial/Commune/Village) and school administration leaders. h. Manage/develop staff and oversee their activities (currently 3 full-time Program Assistants (one position is open), 1 full-time Librarian, 5 part-time Professional teachers, 2 part-time US Peace Corps Volunteers, 2 House Supervisors (at Siam Reap and Phnom Penh dormitories) and 1 full-time House Attendant in Siem Reap. a. Train new and existing Student Teachers in teaching, English and computer skills including conducting weekend instruction classes. b. Manage/train the professional part-time English teacher. c. Conduct weekly review meeting with JGG staff and Student Teachers. d. Monitor classroom activities with Student Teachers to insure the quality of the English training. e. Develop/manage computer training for Student Teachers and selected other students. f. Manage the four part-time math, science and English teachers preparing Student Teachers in their final high school year for the 12<sup>th</sup> grade exam. g. Coordinate JGG activities between Bak Chinhchien, Romlech, and Koh Svey schools. b. Develop program for Student Teachers to assist in Library. c. Create/implement development plans for both facilities including implementing computer training, and the acquisition of new books, video material and related programs. a. Utilize the House Supervisor to oversee all Respite Center activities including the housing of former Student Teachers now attending university and JGG guests. To apply, please send a resume and cover letter to Jessica Watson at Jessica.watson@wingsofhope.ngo by May 20. Compensation: This is a volunteer position, offering a monthly stipend and a year-end bonus. Expenses are covered including airfare, lodging, meals, and insurance. Khmer Language skills are not a requirement. English fluency is necessary. 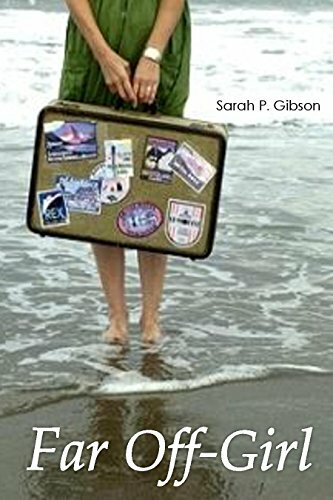 Sarah P’s comments: While obtaining an international position may be your goal, one way of gaining experience is to volunteer. Idealist currently has three positions of interest. Idealist, a US nonprofit organization, began life in 1995 as Action Without Borders, with the goal of creating a global network of people and organizations working towards the goal of a world where all people can live free and dignified lives. Online and globally, Idealist.org connects 100,000 people with jobs and volunteer and action opportunities posted by 90,000 organizations around the world. The organization operates in English, Spanish and French. You can use this site to post information about yourself and/or search for both internship and volunteer opportunities. I have noticed in recent years, many more jobs posted vs. internships and volunteering opps. There has also been an increasing number of US postings, however there are still international listings. Unfortunately, there is no way to search for only ‘international’ and the best method is to enter ‘library’ or ‘librarian’ as a keyword and scroll through the listings. For more about volunteering please read Chapter 9 of my book and/or visit the Resources page.